Given our particular affinity for berries, we are lucky to have inherited Jake’s grandmother’s home surrounded by raspberry, currant and gooseberry bushes. This year we added to the patch with hearty low and high-bush blueberries, lingonberries, huckleberries and elderberries sourced from Project Native. And now, we’re smack-dab in the middle of high berry season, with perfectly ripe blueberries, raspberries, currants and gooseberries shouting out for our attention. 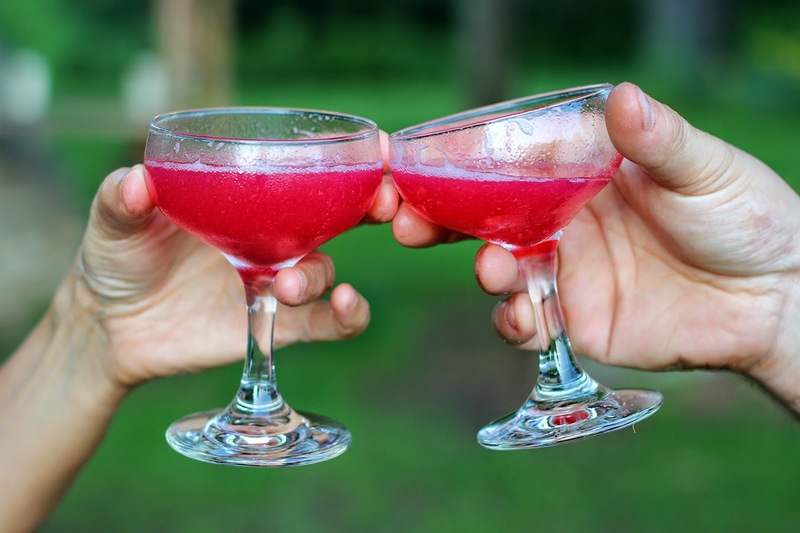 Most evenings before dinner, we grab a container and go out to mine our precious jewels from their shrubs. Snacking as we go, we never seem to tire of foraging from own backyard. What makes it back inside is often gobbled up that evening as is, by the handful. Occasionally, with a little extra time and energy, we’ll spoon them over biscuits with cream. No matter how fast we chomp, though, we always get to a point where we cant keep up with the supply and we have to start preserving. One of our favorite ways to prolong our enjoyment is by making syrups. They are a super-quick and incredibly versatile way to stretch the season — and super yummy as a base for cocktails. 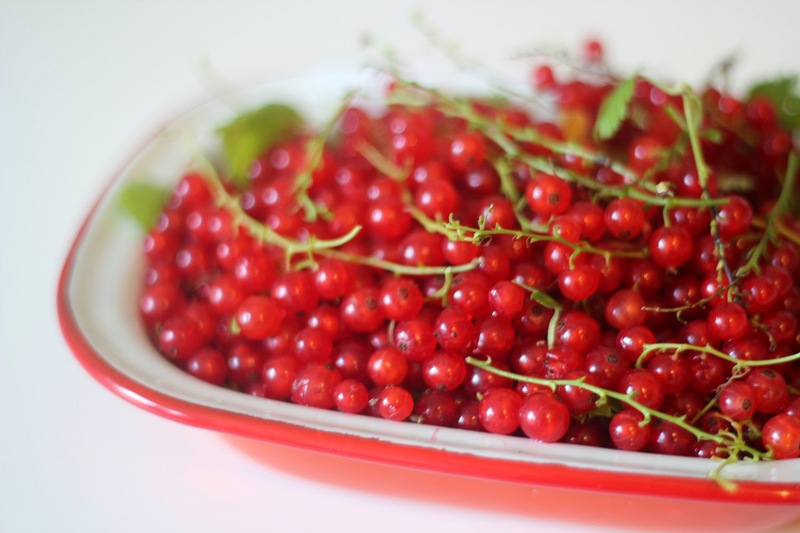 Here’s our recipe for a simple currant syrup, which is just as good in a currant Cosmo as it is over vanilla ice cream. 1. Place all of the ingredients in a small pot and bring to a boil. 2. 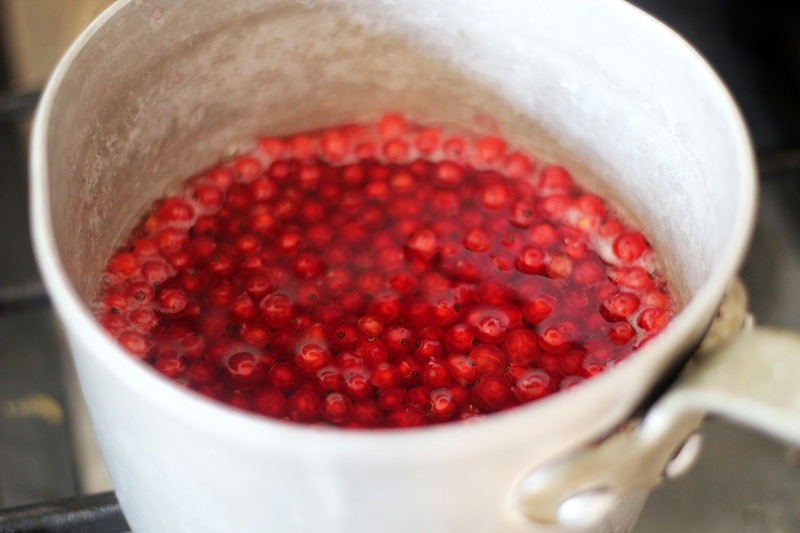 Once the berries have reached a hard boil, turn down to a gentle simmer and walk away for 30 minutes. 3. Strain the syrup into a jar and, with a spoon, push the remains of the berries through the sieve. 1. Combine ingredients together in a cocktail shaker, shake until cold, and serve with a lime wedge or fresh berries. Note: This recipe originally appeared on RuralIntelligence.com on July 21, 2014. It's been back-dated here on our blog so that it falls, seasonally, in the right place. All images and content are property of Jake Levin and Silka Glanzman (The Butcher & The Baker). Powered by Blogger.